Every fall I seek out comfort food--from my own heritage, friends from around the world, and the people I come across in food stalls and markets in my travels. I have learned a lot. Sometimes my family laughs because I speak to people when we both can barely communicate. But I genuinely want to learn from them. My favorite incident was in an Italian market in Florence, Italy, buying some dried herbs. Honestly, an older gentleman and I were communicating, even though we spoke no common language. We were excitedly waving our hands around--understanding one another's enthusiasm and love for adding herbs. Hilarious, when I think of it. I walked away, having a whole new respect for the Italian way of enhancing dishes with herbs. Also, I learned how to make a good soup about an hour later from another Italian cook who spoke no English. It is the season for rustic, signature dishes that feed our soul. Autumn is a time to cook and collaborate with others to stir up some luscious tastes and smells. What are some of your comfort foods? Who are the people you will gather around you to share your table and stories? Bon Appetit! 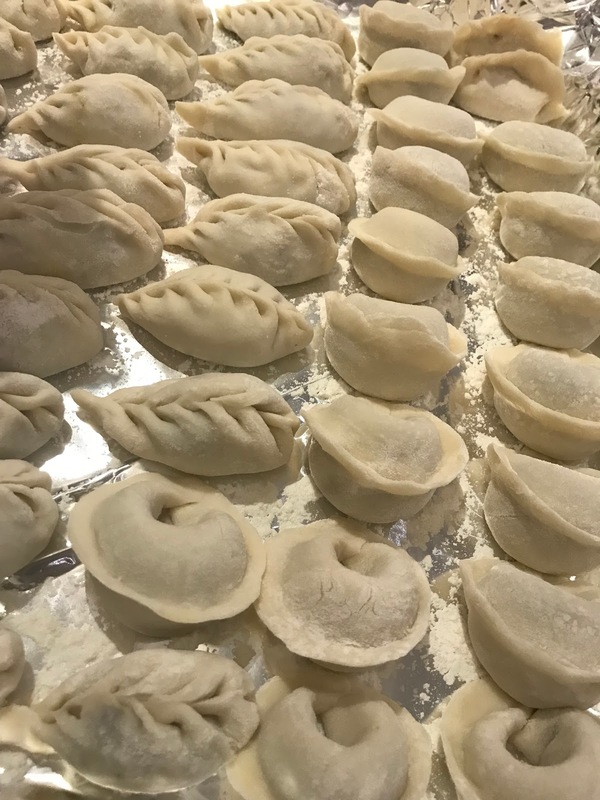 When I lived in Taiwan and China, dumplings were our favorite comfort food to make with friends and families--especially for Chinese New Year. They take a long time to make, but they are worth it. In order to make all the tasty comfort foods, you need spices--one of my favorite places to go to in the Souq in Qatar. You can find saffron, and any herb or spice you wish. A haven for most any cook. 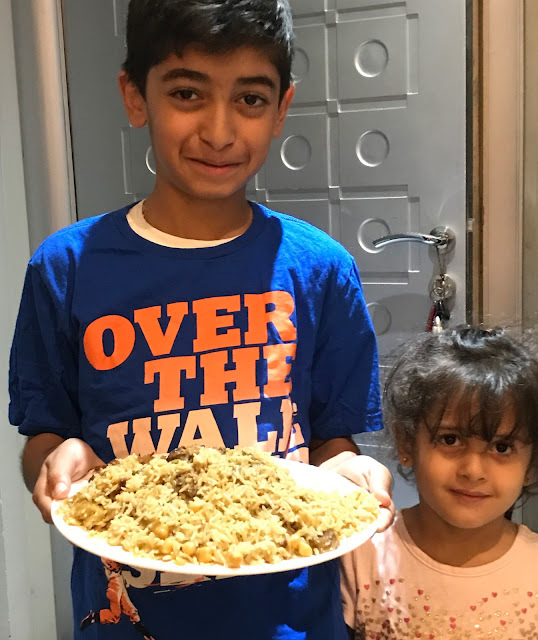 You can find different mixtures of garam masala (a mixture of Indian spices that is particular to a family or region), za' atar (a Middle East dry mix of thyme, oregano, marjoram, toasted sesame seeds, and salt. Sometimes sumac and parsley are added to the mixture. It is used as a rub for meat or fish dishes. I love to experiment and try out new spices and herbs. Some good friends in Voeux, France, in the Provence region. I didn't want to go home with all of Lilianne's homemade meals. Every night was a wonderful soup and salad. Here is one, https://www.geniuskitchen.com/recipe/provencal-vegetable-soup-373856 but you can experiment. One of my very favorite flavorings is Herb de Provence--a mixture of rosemary thyme, oregano, and basil (the usual Italian mixture), but in Provence, they add lavender (of course), fennel, sage, tarragon, and savory. 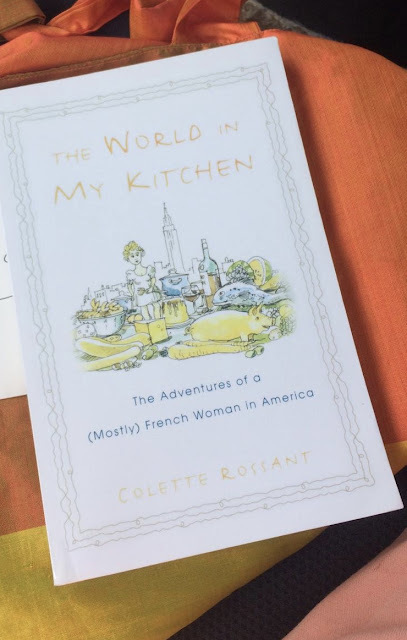 As Julia Child says, "In France, cooking is a serious art form and a national sport!" My son-in-law has brought the crepe to our family in full force--making it a tradition. Before he married my daughter, he helped me choose a crepe pan that is now a staple in our home. I treasure it and even travel with it. Ha! Last Christmas he woke up early with our daughter to make us Christmas morning crepes with Guerre cheese and ham. The secret to making a good crepe is mixing the batter in a blender and refrigerating it overnight. Also, if you want to make a galette (with buckwheat flour), here is a recipe: https://www.sbs.com.au/food/recipes/galettes-ham-and-eggs-galettes-jambon-oeuf Personally, I like them even better than a crepe. 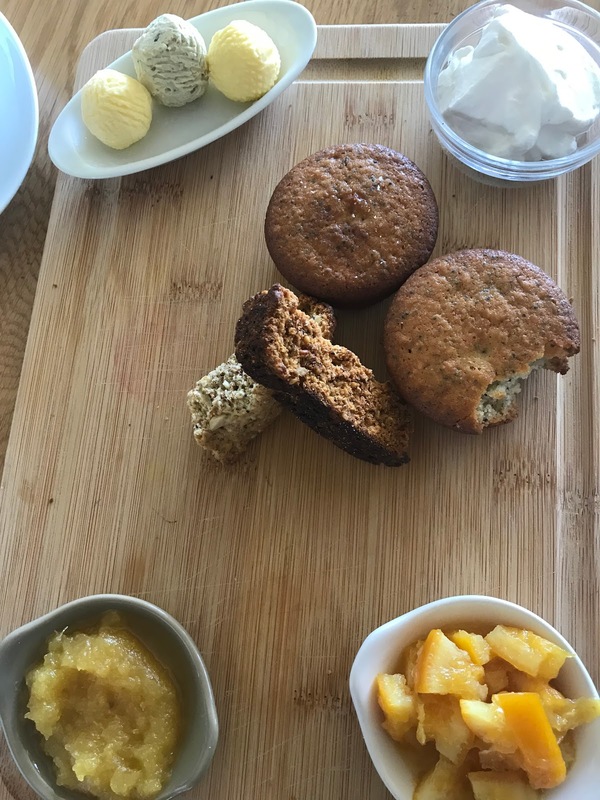 A dessert or a porridge--depending on when you eat it--in the morning or evening. Tradition says the affinity of eating risgrynsgrot began in 1328 at a funeral wake. 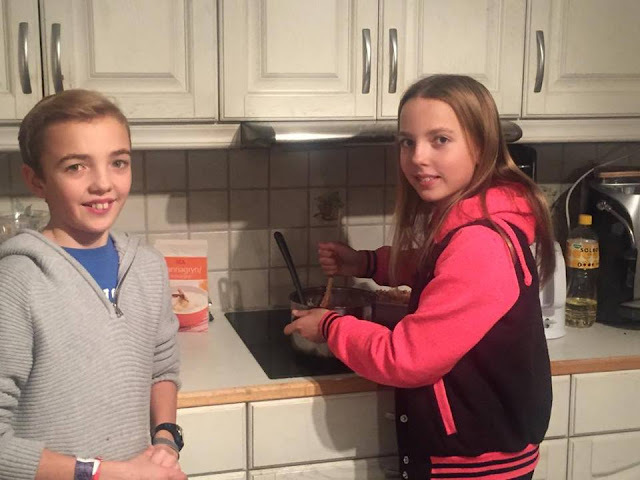 But now it is always included in the Julboord (Christmas buffet) and during the holidays. It is left out for the Christmas elf, and if not put on the porch, it is said the elf can become mischievous. One almond is put in the pudding and if anyone finds it, they will have a wonderful year ahead. In a medium-sized bowl, beat 4 eggs lightly, add 1 cup sugar and beat a little. Add the nutmeg. Pour into a 2-quart dish and add the low-fat milk. Sprinkle cinnamon on top. Dollop a few tsp of butter on top, if you want. Bake at 325 degrees for one and a half hours or until the top of the pudding moves a little in the center if you push it gently. Every night they have five main kinds of cheese to serve you from around the region. Each town has its own cheese, depending on what they feed the cows on how it will taste. 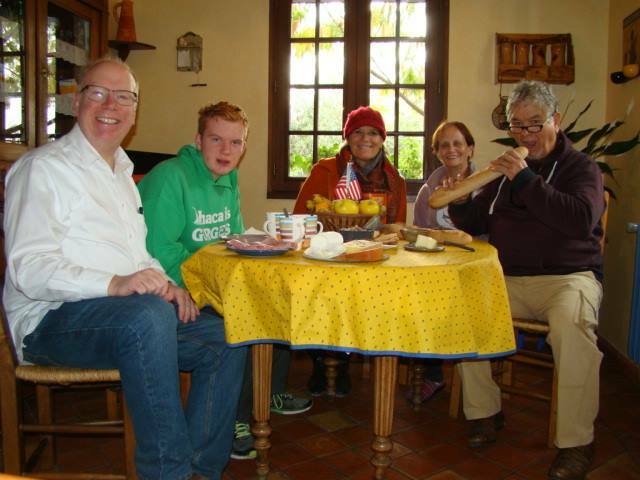 My good friend, Annagreth, from Interkerken, Switzerland, introduced us to raclette. A wonderful social meal that can last for hours, kind of like its cousin, fondue. Always a tradition for our family every year--Vinarterta. 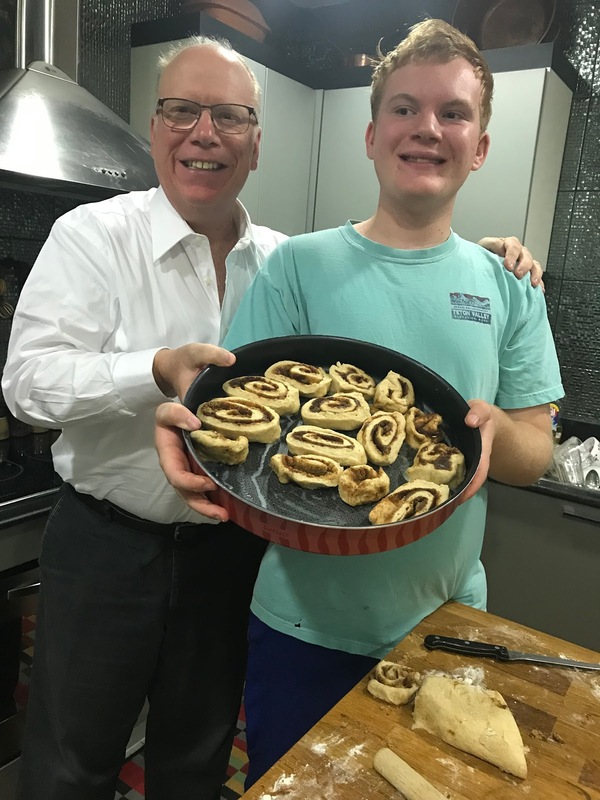 Martha Stewart recently wrote about our family's long-standing tradition. But I prefer my stained and wrinkled recipe, written in my grandmother's beautiful handwriting. 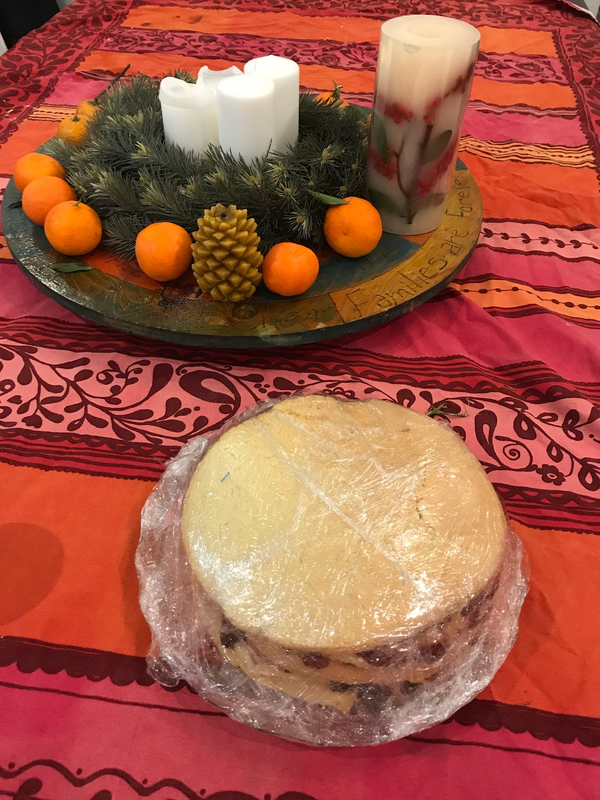 https://www.marthastewart.com/356074/vinarterta One of the best things about it is that this cake can last a long time on the shelf. Instead of prune filling like my grandma or Martha, our family has a raspberry jam filling. Basically, it is just a big sugar cookie cake with jam. I have carried it with me on many a trip so we keep up the tradition... And I love to think of my grandmother and ancestors making it too. The traditional trdelnik or chimney cake, a hollow roll made on some coals, that is rolled in cinnamon and sugar, and all concoctions of deliciousness with ice cream inside--made in Hungary and the Czech Republic. If you are walking around on a cold night, you can warm your hands by the coals and then eat some ice cream. We went for a wedding to a small village about four hours outside of Hyderabad, a place where most everyone had never seen Westerners. I will never forget the skills I saw as the entire village prepared for the wedding feast--a meal that fed about 3,000 people. Introducing the tagine while in Morocco... I have tried to begin duplicating tangine dishes from North Africa, particularly Morocco, which is more seasoned with lemon. I even got my own tagine that is slow cooking, pairing flavors of sweet and savory, like quinces, honey, or dates with meat and/or vegetables. The couscous soaks up the flavor of the main dish. Wonderful on a cold night. Couscous with steamed vegetables--made for vegetarians or with lamb, chicken, and fish. Parisa, an Iranian restaurant here in Qatar, located in the Souq Waqif (market). The bread is made in the traditional way with rocks on top, It is long and flat and eaten with almost every meal. 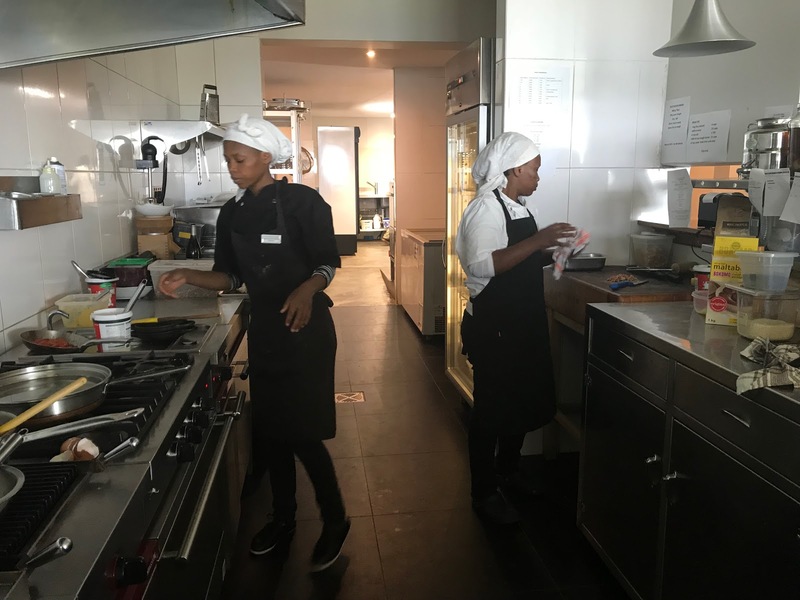 I think, perhaps, I was the most most surprised at South African cooking. I was not expecting the incredible originality, freshness, and exciting mixtures. All I can say is people know how to be creative with food in South Africa--my kind of place. Everywhere there was a garden people were cooking from. I met Diana from Managu, South Africa at a Saturday town market. It is a town up in the mountains where creativity reigns and people live close to the earth. 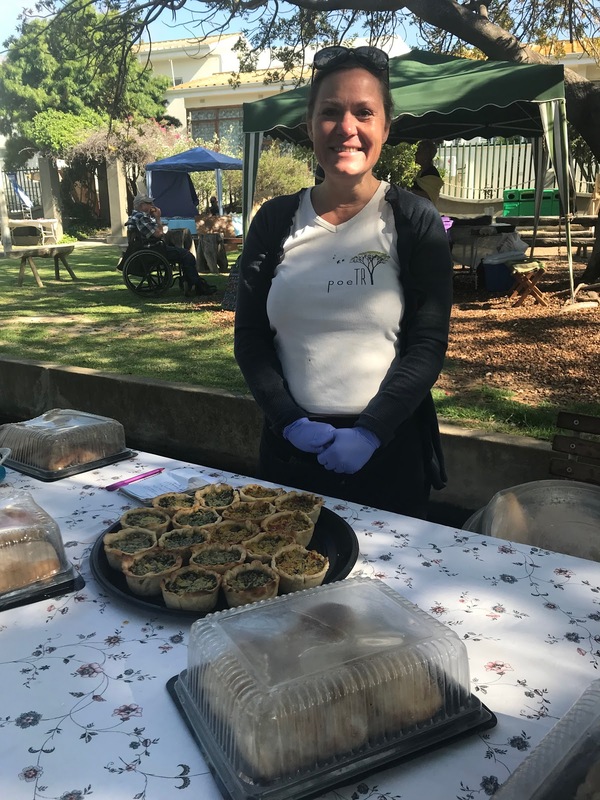 She persuaded me to taste her cashew and garbanzo quiche. She was very happy that I liked her creations so much. She says she is a vegan, except when she gets a Camembert cheese craving. There is even a National Melktert Day every February 27. The milk ration is higher milk than eggs in other custards. A must, really! 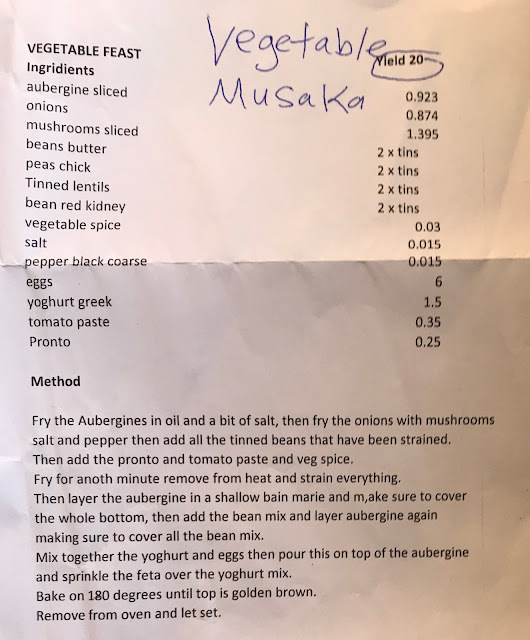 I was so thrilled with this vegetarian dish at Karibou Restaurant in Cape Town that the chef gave me the recipe. I am very excited to try it. The traditional Sauerkraut Soup in Prague--one of the most memorable best soups of my life. Still trying to duplicate it... https://www.tasteofprague.com/pragueblog/winter-treat-sauerkraut-soup-with-sausage Believe me, it is incredible--tangy and savory all at the same time. Sometimes my Jordanian neighbors cook double portions and give us part of their dinners. My personal favorite is the lentil soup--my new comfort food--a favorite all over the Middle East. 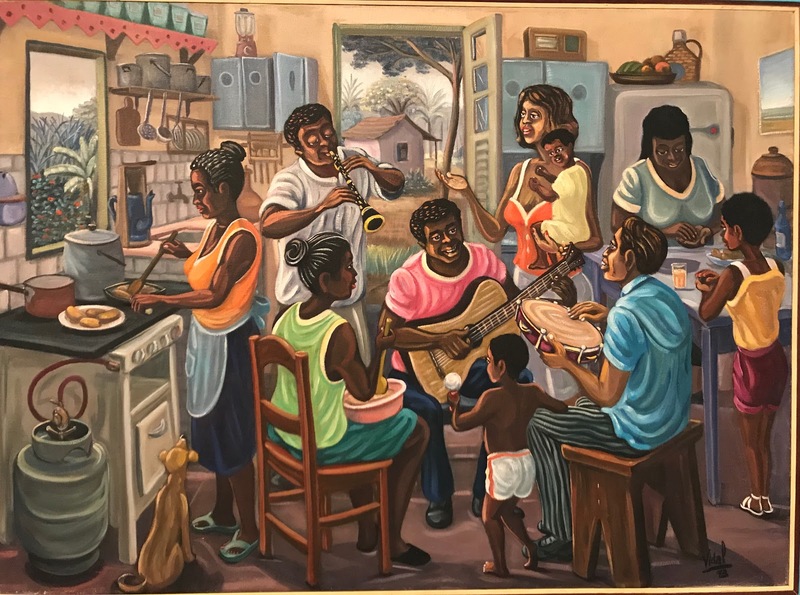 Loved this picture in the Rio History/Art Museum of a family enjoying making food and singing together. 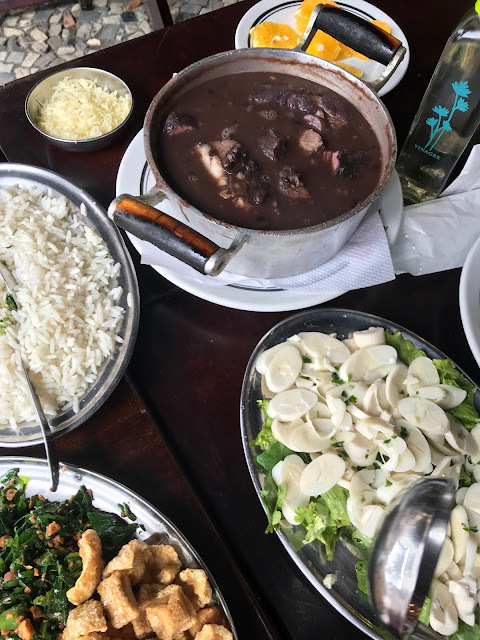 The national dish of Brazil called Feijao we had in Rio de Janiero. Bean soups are always a comfort food for me. But I have to say the Brazilian fruit cannot be beaten ANYWHERE--mangos, apple custard, dragon fruit, and all other sorts of fruit I had never tasted. They like to pair strawberries and dates, a new combination I did not know. Shrimp risotto. My son-in-law loves to make paella. It takes a while, but it is worth it. A book I picked up here in Doha... The author shares my adventurous palette and to bring the world into our homes. 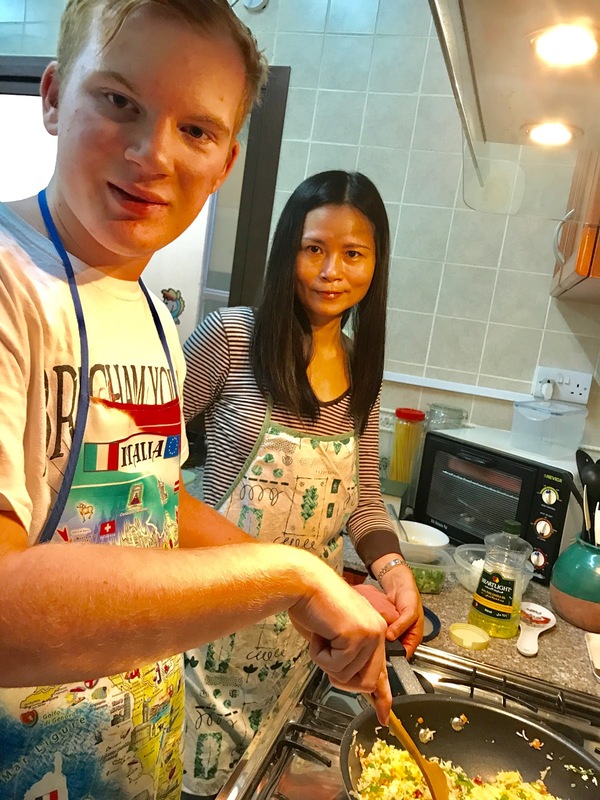 If we begin to understand people's food more, maybe we can begin to understand who they are, what is important to them, and heritages vastly different than our own.